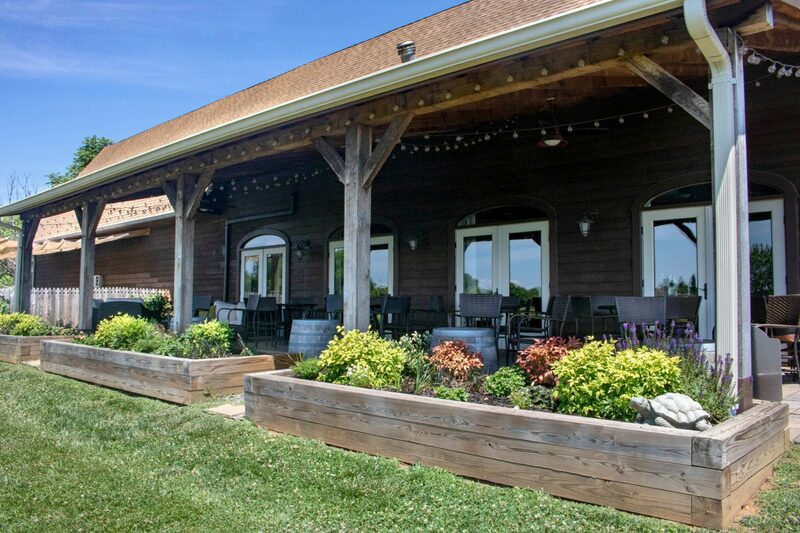 Set among the countryside with horses frolicking in fields nearby, 8 Chains North Winery serves as a beautiful backdrop for wedding ceremonies, receptions and all types of special events. 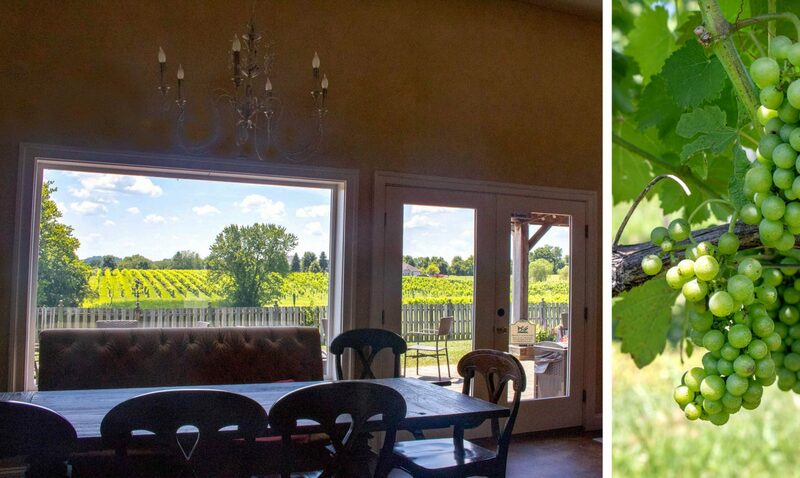 From their Compass Rose Room, where most events are held, one has French-door access to a covered patio that provides a panoramic view of the vineyard. 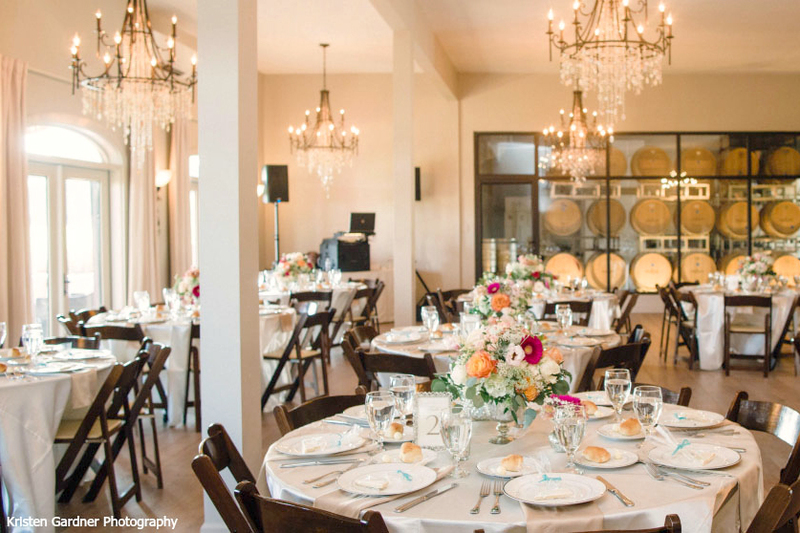 The room also features elegant chandeliers, cork bark-covered walls and a glass wall looking into the Barrel Room. 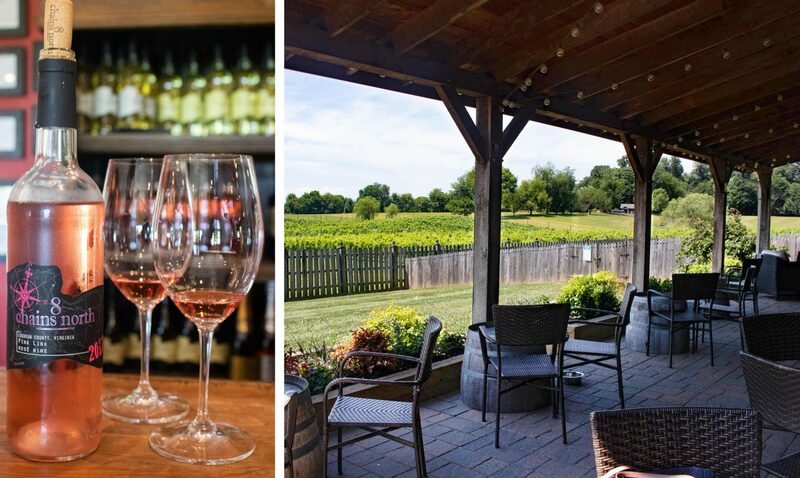 Founded in 2006, Ben Renshaw and his father planted their first vineyard – Furnace Mountain – on Ben’s sister’s farm north of Leesburg, Virginia on the Potomac River. 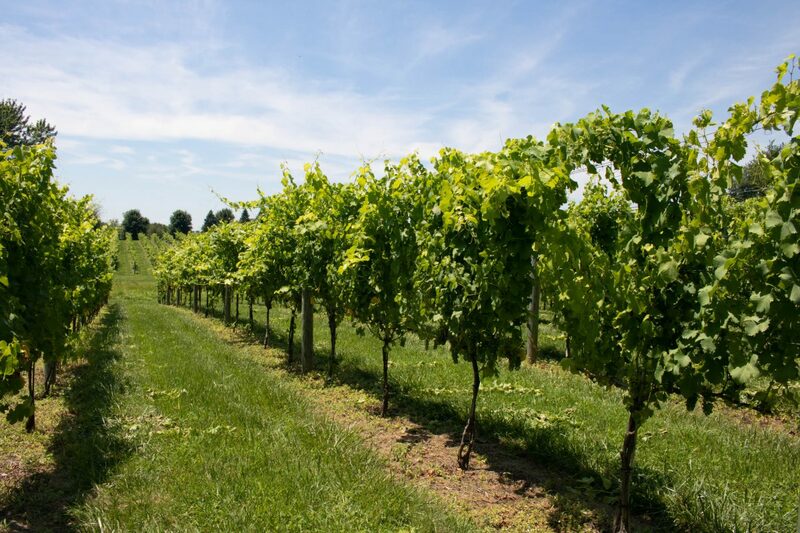 The first bottling under the 8 Chains North brand occurred thereafter in 2007, and in 2010, Ben planted the Waterford Vineyard and established a permanent home for the winery in a renovated barn. Fun fact: Ben is also 8 Chains North’s winegrower! 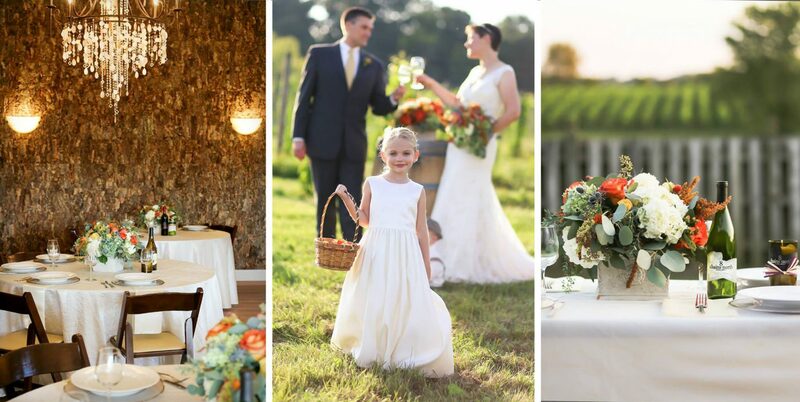 We hope you keep Catering by Seasons and 8 Chains North in mind for your next corporate event, wedding or any occasion that warrants a celebration. Elly, the winery’s event manager, along with our team will certainly ensure a memorable time with fabulous food and, of course, fine wine. Cheers! 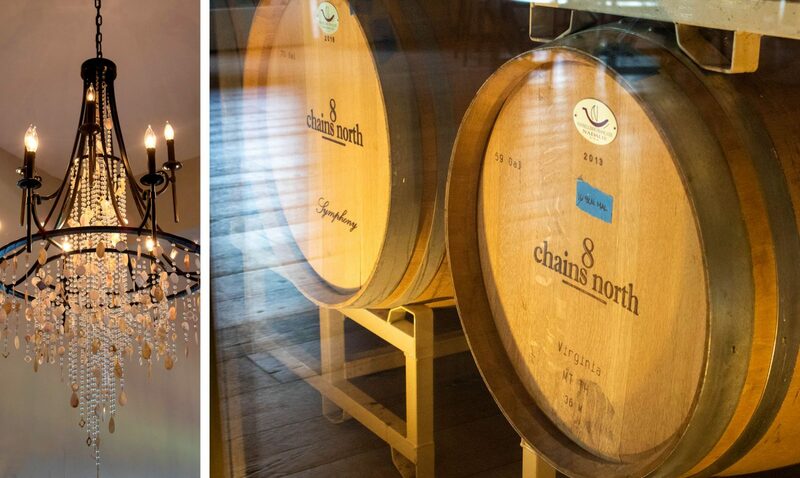 To learn more about events at the winery and schedule a tour of it, contact Elly Sullivan at (571) 439-2255 or elly@8chainsnorth.com.